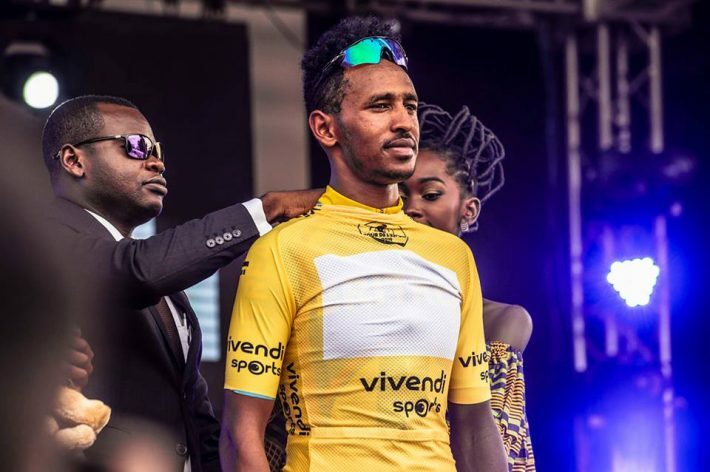 Yellow jersey since the 2nd stage, Yakob Debesay won the 2nd edition of the Tour de l'espoir, a cycling competition counting for the Nations Cup under 23 years old. The Eritrean, as usual, was still in the forefront of the last stage run this Saturday in Yaoundé (69.3 km). He placed 6th. But it is the Rwandan Moise Mugisha who removed this stage in 1h57 min 29. He was ahead of Ecuadorian Santiago Montenegro and Japan's Shoi Matsuda. In the general classification, Debesay wins in 08h37'13 "with 1min 10 ahead of his compatriot Natnael Mebrahtom. Montenegro ranks 3rd. Eritrea, the best team of the event, will represent Africa at the Tour de l'Avenir from 15-25 August 2019 in France.